Lanier High School: Latest News - School Name Change Extended!!! 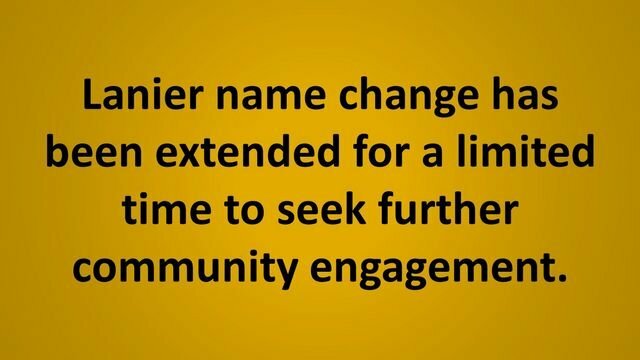 Lanier name change has been extended for a limited time to seek further community engagement. You may also submit your opinion and rationale via this survey.